During the summer months, the amount I cook drops off. I want easy, quick, and (for the most part), no oven required. Bruschetta is a favorite summer treat of mine that only gets made with fresh tomatoes and basil from the garden. I make big batches and use on my morning eggs and in recipes like this white bean wrap. I cheat a bit on this recipe and fry the garlic first then toss the white beans, just to warm. This added touch cuts out the raw garlic flavor and helps to make the beans extra good. 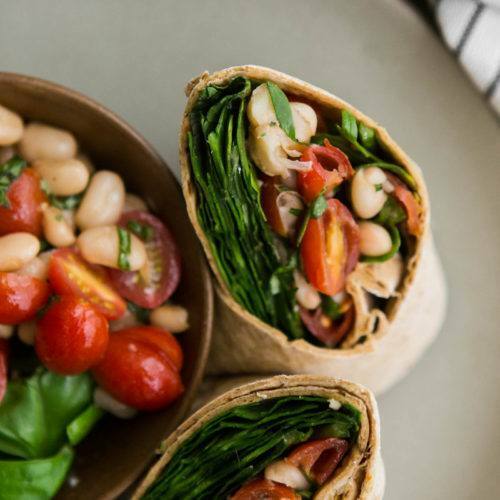 Make the bruschetta the night before and assemble these wraps as a perfect take to work lunch! 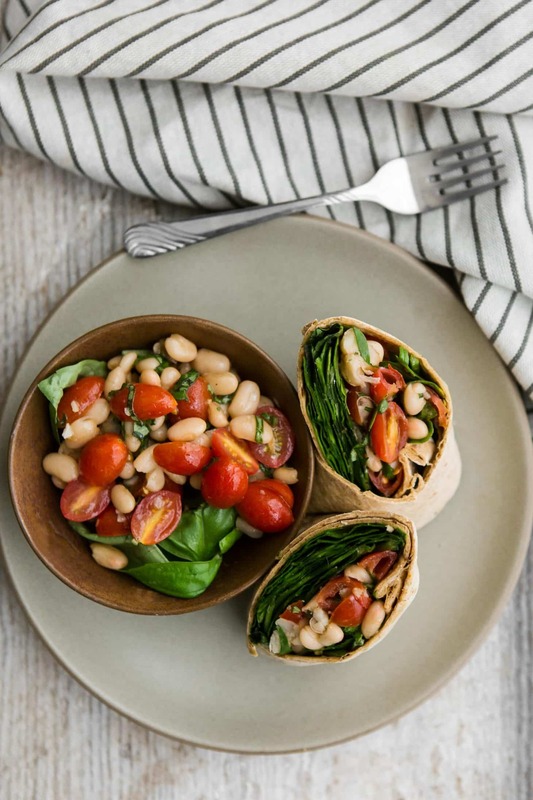 A perfect summer white bean wrap made with cooked white beans and an easy fresh tomato bruschetta. Heat a skillet over medium-low heat. Add olive oil, followed by garlic. Fry the garlic until warm and just turning golden. Remove from heat, add white beans, and toss until well combined. Let sit for 5 minutes until oil cools. Combine the sliced grape tomatoes with the basil and garlicky white beans in a bowl. Add in the balsamic vinegar, pepper, and salt; stir to combine. 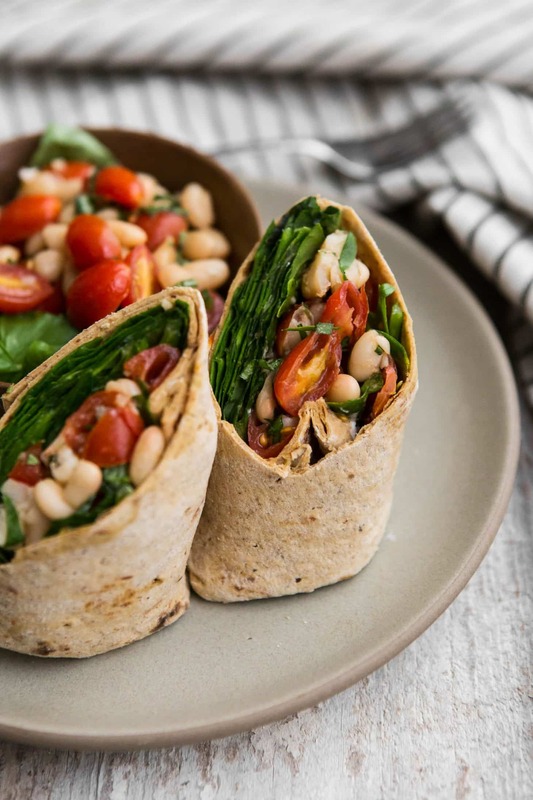 Assemble wraps by dividing the spinach onto two wraps. Top spinach with 1/2 to 3/4 cup or so (see note) of the bean mixture, followed by a sprinkle of goat cheese. Roll, tucking the sides in as you go. Cut in half and repeat with remaining wrap. Tips & Tricks: This recipe makes more bruschetta than needed for the two wraps. Save for another wrap or you can do as I did and ate a portion on the side for extra. Bruschetta is one of those over-done menu items at restaurants. I never order it and only make it at home during the summer. 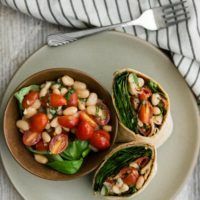 The tomatoes are the true star in this white bean wrap but the garlicky white beans come in a close second. 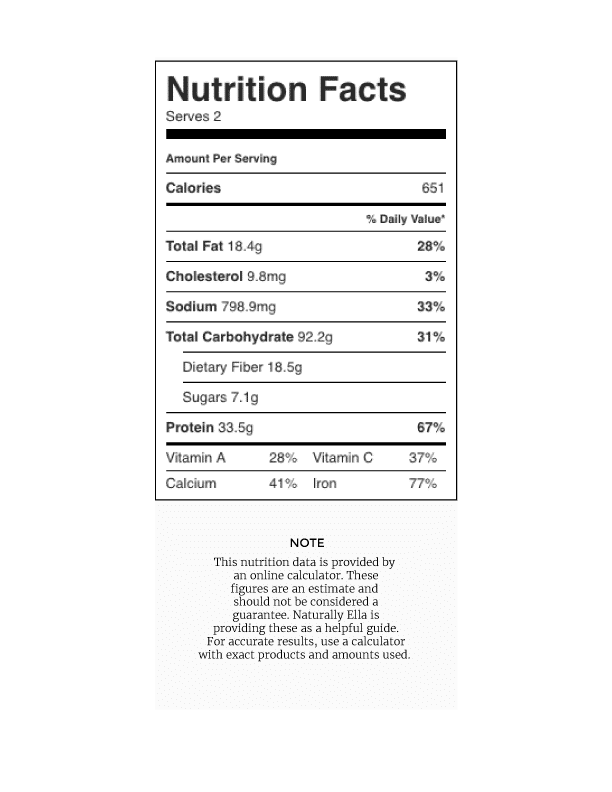 Greens: Spinach is my usual go-to wrap green but kale or a lettuce mixture would also work (kale especially well since it’s one of the greens that is a bit heartier during the warm summer months). Vegan: Leave off the goat cheese- it’s pretty simple! I wanna know if the tomato in the recipe can be substituted with something else? Is there anything? Roasted Zucchini or Summer Squash would be nice (different texture but would work with the flavors). These recipes look awesome. I am trying to stop eating me and become a full vegetarian but somewhat challenging. So glad I found this site. Thanks for helping me with your recipes Ella and i hope that his long comment will not bother you at all. Simple and delicious – my favorite kind of recipe! Is Flatout available in Whole Foods? I’m not sure- I usually find them at my local neighborhood store (Safeway).